"Nearly 200 stunningly realistic paintings and drawings bring the greatest fantasy epic of all time to life. Classical realism unites with contemporary storytelling as artist Donato Giancola explores the mythic grandeur and the iconic characters of J.R.R. Tolkien's The Lord of the Rings saga." As you say, “for fans of his artwork”. 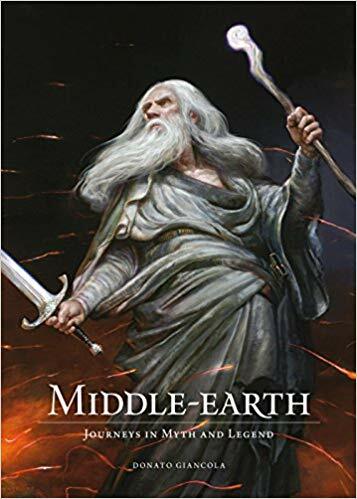 For myself, I must admit that I find Giancola to be the one professional artist whose Tolkien illustrations I can find no sympathy for whatsoever (of those that I have seen, obviously, but that is by now a rather diverse crowd). The sense of motion he could put on a card (in the ME:TW game) was amazing. I enjoyed his presentation at this year's Mythcon. Heard from Donato today that the book has gone to a second printing before release. Should have my copy in hand soon for reviewing.